Digging for Fire | Arts and Culture | Style Weekly - Richmond, VA local news, arts, and events. 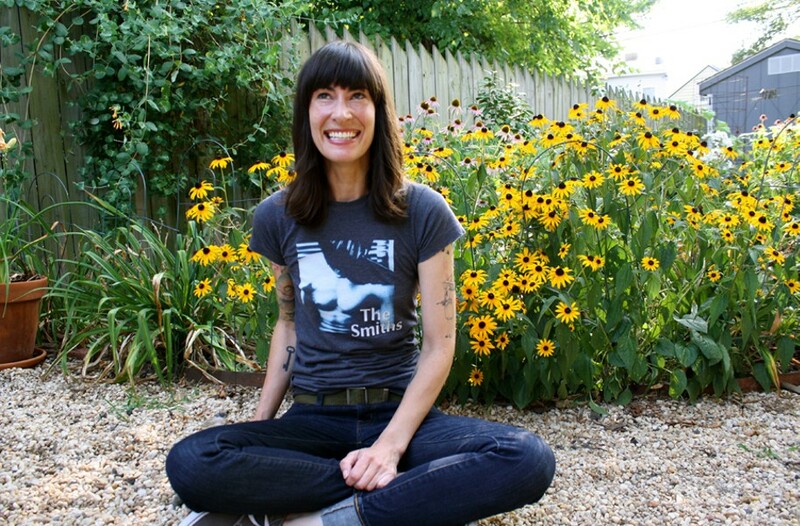 Local poet Allison Titus’ debut fiction novel captures small moments of affection and loss. When an accomplished poet writes fiction, you can be sure the language will be evocative and memorable. But rare is a writer who can write as seamlessly in one genre as another. Margaret Atwood comes to mind as an example, but few others. Readers of the new novel "The Arsonist's Song Has Nothing to Do with Fire," by local poet Allison Titus, will notice many conceits of poetry in the prose: sequential repetitions and rhythms that lend a dreamlike quality to the story. Sometimes they jar you from the narrative, but mostly they make for a beautiful and haunting first novel. It suffers, however, from frustrating plot points so elemental as to be almost fatal. I found myself yelling out loud at bizarre decisions that force certain outcomes for the characters. Small but important flaws make it difficult to focus on the melancholy characters, the poignant landscapes and poetic beauty that make this novel a compelling read. Vivian is a house sitter, traveling to nameless towns, living in other people's absences. She feels little connection to the people and places she encounters. The story is interspersed with narratives of Vivian's imagined death. Dated like an obituary and written in the same third-person lyricism as the rest of the book, Titus has the reader imagine a number of elegiac ends for Vivian — a bloodied boot "a wolf's length away in the snowdrift," for example. Ronny is a local delinquent, grieving the death of his older brother and the disappearance of his mother. He and his father float through their lives, grasping around the edges, suspended in an emotional limbo. Ronny's story reads like classical mythology, from the power he derives from small-time arson to his transformation into a winged creature. The foils between these two young characters are a doctor and a professor. The latter's disappearance brings Vivian to town and the former hires Ronny as an assistant. The doctor is a modern-day Doctor Frankenstein, a renowned surgeon obsessed with "a re-envisioning of the human condition," convinced of his own genius. The doctor and professor bring Ronny and Vivian together, and, ultimately, their machinations bring about their downfall. The relationship that develops between Ronny and Vivian is both tenuous and all-consuming. Vivian's isolation and macabre fascination with her own death makes her the only one with the tools to understand Ronny and his self-destructive spiral. Titus is adept at building their relationship in vignettes and moments of silence. While the characters struggle with the everyday loss of mothers and siblings, the reader becomes inured to Vivian's imagined demise. Slowly, the obituarylike interjections fail to mention Vivian by name and seem to describe a shared end: an apocalyptic fire. This has a graceful effect of finality, of the book consuming itself as it goes. Titus falters slightly when she moves the plot forward into a new phase, lurching quickly over key developments. Beautifully conceived characters make confusing decisions with unclear motivations, such as when the insolent protagonist, within the span of a few pages, goes from a barely willing assistant to a test subject in the doctor's madcap surgical experiment. There also are elements that feel contrived: Vivian's mute twin brother who works as a mime, the traveling-carnival past of her parents, a mother's slow descent into madness. These are meant to parallel the doctor's grotesque ambitions but the trope is pushed a little too hard in some places, like a Diane Arbus exhibit that starts to feel exploitative.